Jazzercise is a great aerobics class for busy working moms. They offer morning and evening classes on various days throughout the week so it's easy to work into my schedule. Plus the routines change on a regular basis, which keeps class interesting as well as offering a challenge. To top that, the price is right with the monthly fee being considerably less than what I've paid in the past for gym memberships. I recommend Jazzercise for anyone who wants enjoys dance aerobics classes and wants to get in shape and have fun! I am taking a few precious moments to relay my enthusiasm for Jazzercise classes with Kathy Davis. I had been doing Tae Kwon Do for ten years and was seeking another form of exercise that might meet my need to stay fit. Tae Kwon Do is extreme exercise and quite challenging and I was not certain that I could find anything that would come close to giving me the strength training that I wanted. I intended to make it a brief retreat from TKD but now believe that I will continue Jazzercise even if and when I return to TKD. Kathy Davis makes it fun as well as tough. I like the fact that classes are designed so that you can work as hard as you would like and you can also have those days when you need to pull back and take it a little easier. This allows one to control one's own body without undue pressure from anyone else. I love the way the class is structured so that there are no injuries in the course of the workout. It starts out with the low, slow stretch and bounce, then working into the middle to high and coming down into floor work and weights. The workout is safe and still challenging. I started an aerobics exercise class about a year after my daughter was born, she is 28. The Hales Corners, WI YWCA provided that class. 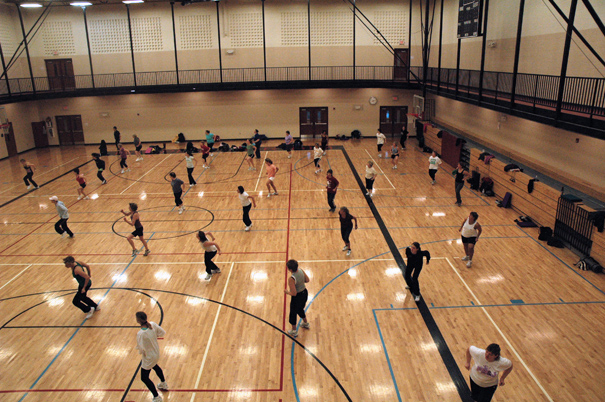 That facility closed and a short time later Kathy Davis' opened her Jazzercise class nearby. I am a walker and this exercise program provides the rest of my body with fitness. The music keeps my interest and beyond the physical exercise this fitness program has been beneficial for my mental state. The hour of thinking about something else helps clears my brain, very therapeutic for me. As the years go by this fitness program made adjustments, so it not only includes aerobics, but stretching, working on balance, the use hand weights, some yoga positions and a bit of Pilate's. 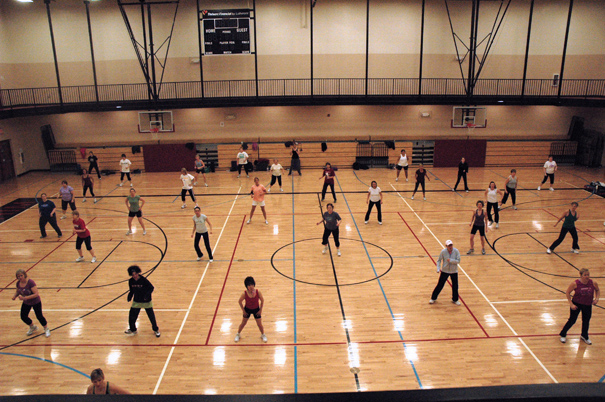 I believe Jazzercise continued fine tuning of their exercise class makes it a great fitness program. I first enrolled in a Jazzercise exercise class as a newlywed in 1981, and attended off and on during our years in Tucson, AZ and San Diego, CA. I got totally hooked, though, when I found Kathy Davis’ class in Greendale, WI in about 1990. Jazzercise had seen me through 3 pregnancies (which really helped to minimize unnecessary weight gain, ensure fast deliveries and quicker recoveries by keeping me strong and maintaining my overall fitness, while also helping to manage gestational diabetes). A few years ago I was diagnosed with disabling fibromyalgia and chronic myofascial pain. I now need a lighter fitness, strengthening and stretching routine to manage chronic pain. Jazzercise is a fitness program which can be tailored to your individual needs, and you are always shown options to work out as heavy or as light as you wish. My instructor, Kathy, has encouraged me and worked with me to find ways to keep my body healthy in all seasons of life. She is a fantastic instructor, someone who makes exercise so much fun, you’ll always leave feeling better than when you came! And Jazzercise is a place you’ll meet people who years from now you’ll still be calling friend. I have tried several fitness programs but could never find one that I enjoyed or something I would stick with. 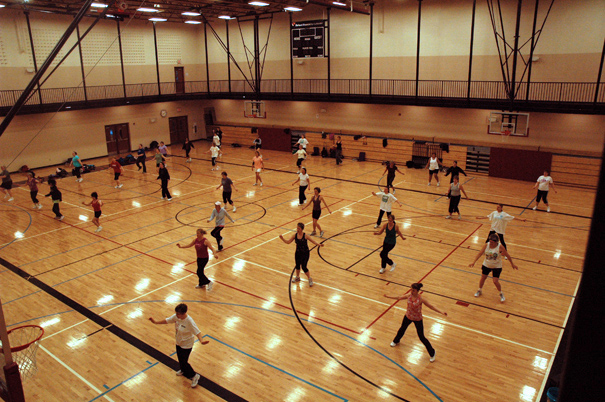 I attended a Jazzercise aerobics class 16 years ago and I haven’t stopped since. The motivation and energy of the instructor Kathy Davis, the way I look and feel and the lifelong friendships I have made keep me going back. 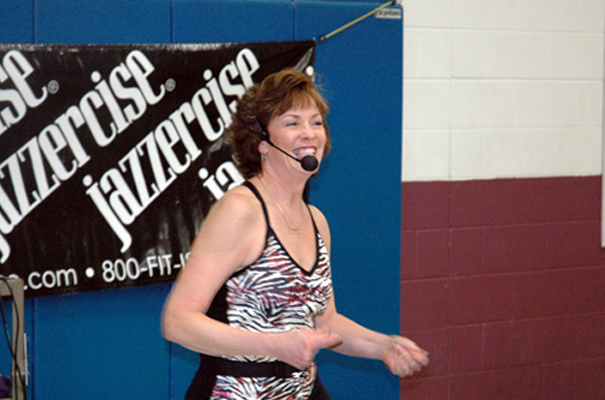 Jazzercise is not just a group exercise program…for me, it’s a way of life. I'm Kathy Davis, and I welcome you to my Jazzercise fitness class. 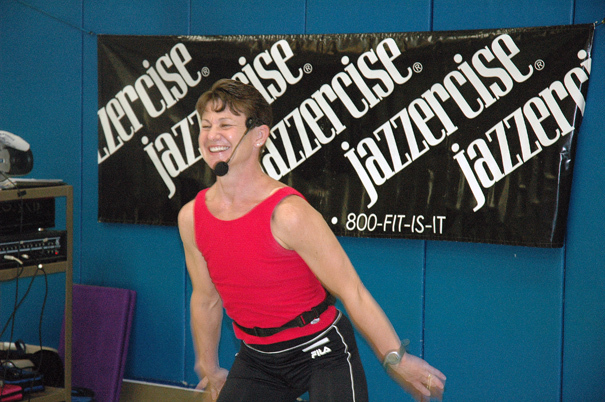 I have been a certified Jazzercise fitness instructor since 1986, and have been operating my own classes in the Southwest part of Milwaukee County since 1990. 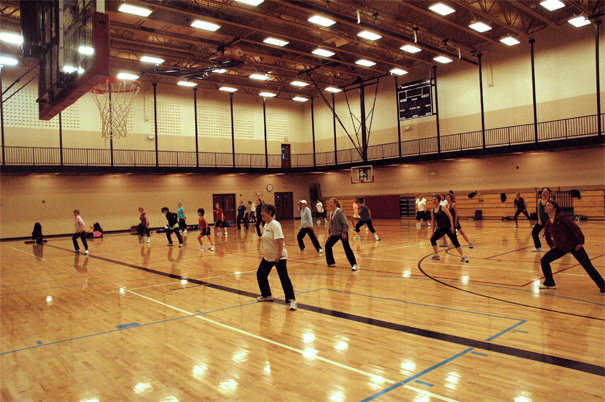 I teach evening Jazzercise aerobic classes at Ben Franklin Elementary School in Franklin, WI, through the City of Franklin Recreation Program. 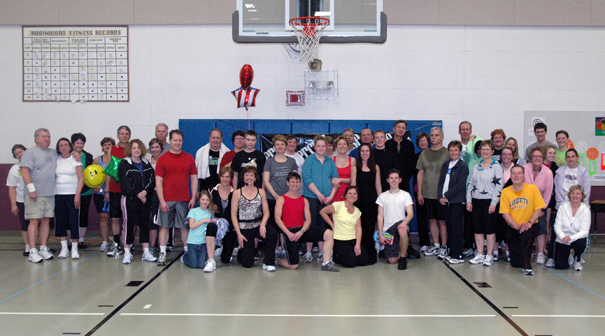 I also have morning Jazzercise exercise classes at Hales Corners Lutheran Church, in Hales Corners Wisconsin. I offer a well rounded fitness program, incorporating stretching, aerobic, and strength routines working all major muscle groups. 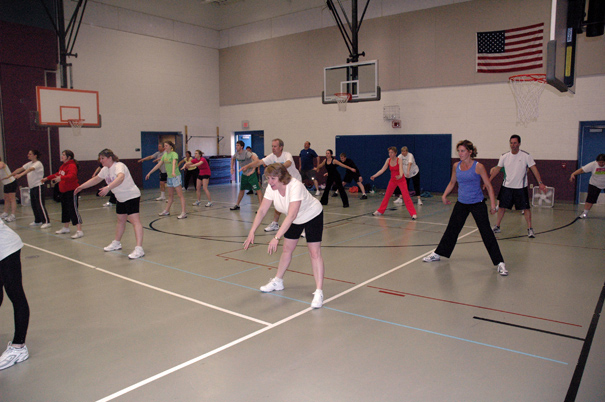 Our Jazzercise group exercise class is held six days a week. Give us a try and enjoy the results. Questions about our fitness program?